I love eyebrows. In fact, I lust after them. I have dreams about designing them. I stare at them when they pass on the street. I silently (and sometimes not so silently) judge them. Going to Puerto Rico is such a treat for me, because the eyebrows there are so…. BEAUTIFUL!!!! That being said, I have been searching for the PERFECT brow pencil / highlighter for a few years. I started out with a crème to powder product that had several colors, but in my cold environment (I’m in Vermont) was sometimes difficult to apply! (I would hit my personal stash with a hairdryer before applying to myself, but what a pain in the treatment room!). I had to use one of their shadows as a highlighter, and really wanted the convenience of a pencil. This company has since discontinued their brow products, so I found another company with mechanical pencils. One frustration with this next company, was they only offer one shade of pencil and one shade of highlighter, and the amount of product in the tube was a little disappointing. I did like the pencil, and it did work for MOST of my clients, but not for everyone. I also found it frustrating to have such a SMALL amount of product for the price! I also would sometimes forget that you had to roll it back down after sanitizing it and before capping it, and I broke a few pencils this way. Oops! Now that I’d tried a creme to powder and mechanical pencil, I started the search for a traditional pencil that offered a few different shades that would work for ALL of my clients! I stumbled upon The BrowGal, and decided to order a sampler pack. When it first arrived I was fairly intimidated – there were SO MANY THINGS IN THE BOX! Six colors in the traditional style pencil that you would sharpen, two highlighter colors with a matte end and a sparkly end, an AWESOME brow gel (which is a product I’ve been missing in my practice – I’ll sell the HELL out of this! ), a brow growth serum and supplement and various other items to use in your brow design practice. A word about brow design. If you’re not taking the time to teach your clients how to highlight and fill their brows, you are leaving MONEY ON THE TABLE!!! Brows are IN, and helping your clients achieve their BEST brows will bring you more business!!!! My typical brow design takes about 30 minutes and I charge $40. The brow design includes highlighter, fill & brow gel. This creates an opportunity for you to retail three different items (4 if they need a growth serum! ), which will more than double your total ticket price! One of my FAVORITE things about The BrowGal is the VALUE you receive with your order. The mechanical pencils have such a puny amount of product compared to a full pencil, FOR THE SAME DAMN PRICE! I’ve had a very hard time wrapping my head around charging $20+ retail for about an inch of product. 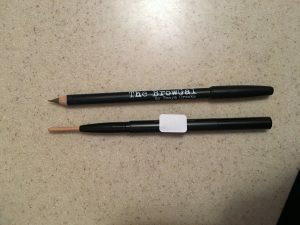 The BrowGal pencils are very generous in size with a brush on the end. The colors are rich & easy to apply. The brow gel has great hold without being stiff. I haven’t tried the growth serum yet, but I will & I’ll let you know what I think! 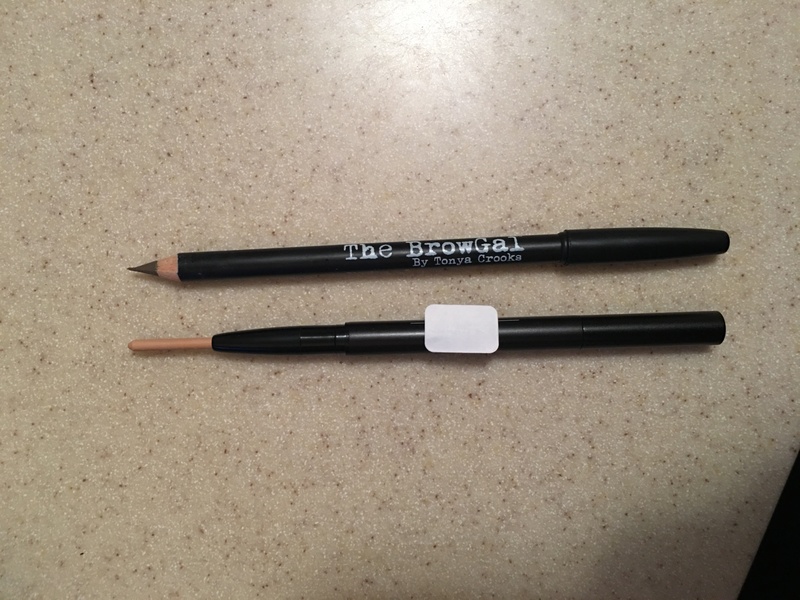 The BrowGal pencil compared to a popular competitor’s mechanical pencil. You get about 4 times the amount of product for the same price, ,and yes – the mechanical pencil is completely rolled out in this photo! 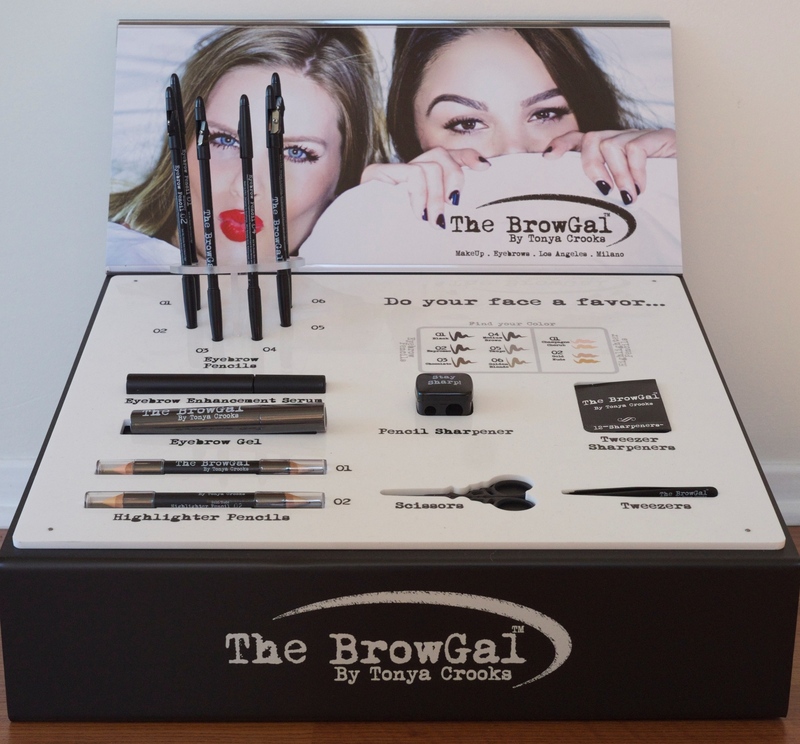 You can choose from a few BrowGal sampler packages, or from 4 opening orders HERE!